All organizations are required to create and maintain a database of current and potential customer details for business purposes. The major purpose of doing so is email marketing. Email marketing is a traditional method of marketing which still hold the first place of giving the maximum ROI. Being a highly direct and prompt method of communication to the customers, businesses look out for it when trying to expand. Email Append Services is a great way to collate the customer details and use it for the marketing purpose with due permissions of the respective email address holders. Thus, it gives a great boost to the sales figure as well as encouraging increase traffic to the website. From the above statistics, it is quite clear that email marketing is still the king, when it comes to marketing! When it comes to B2B marketing, it proves the best choice. It still is the most preferred choice of channel in business communications. 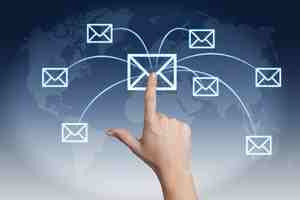 Email marketing is the most direct and immediate way to reach out to your customers. When you think of expanding your market options and expect exceptional communications gains, you would need verified, authentic and correct email addresses of customers. How to fill in the missing data from your database? Here is where email appending services come into play. What exactly is “Email Appending”? Email Appending, or E-appending is a marketing practice where the existing customer data (name, postal address) are mapped to the vendor’s list so that the missing information – email address – could be obtained. Email appending is one-of-a-kind service which lets you update or attach the email addresses of the existing customers or prospects which are missing from your database. Half information won’t give you the desired results. Having complete knowledge of how your customers can be reached out to is vital. The wholesome information allows developing a strong information base which would, in the long run, help retain the customers and their loyalty. Communication gaps must be avoided at all times. This, however, would not be obtained without proper permissions. A permission seeking email is send to the customer as a part of the e-append process in which the deliver-ability request is sought. Customers are triggered to opt-in for further communication through the same email regarding specific products or services. There will be striking jump in the sales figures. It is one of the most cost-effective methods of creating your database. With correct, consistent and prompt email communications, the number of potential customers could be amplified. Encouraging the customers to visit the website could be achieved at a lower cost. With authentic emails of potential custome rs in hand, conversion time for market testing of any service or product would be quicker. E-appending services allow to carefully turn the single channel customers into ones with multiple channel strategies. Email appending is one of the only few niche services which allows B2B customer communication at the greatest ease. This also ensures that the online and offline data are joined strategically making your marketing activity touch greater boundaries. I know the brand datazapp really their email appending service driven the potential of money value and good Returnees which is come from targeted audience appending data with them! Very Nice post. I liked the way you explained it clearly like I saw in Automation Associates LLC. Thanks for sharing. Amazing and excellent post. Thanks for sharing this awesome data. You can also share these kind of post in different social medias such as, Facebook, the famous Twitter and in the LinkedIn profiles followed by Google Plus and the infographic site Pinterest. Very Nice Post. Awesome to read this article. Thanks for sharing. You can also publish this excellent post on other platforms such as, Wordpress, my favourite Blogspot site followed by Tumblr, also in Livejournal and lastly in the Medium site. Beautiful post I've come across today. Informative. Thanks for sharing this most excellent information. You can share this information on other platforms such as, Wordpress the most useful Blogspot site followed by the famous Tumblr and also in Medium lastly in the Live Journal site. Excellent and amazing post. Worth the time. You can also share these post in different social medias to get a higher ground like Facebook, the famous media Twitter and in the LinkedIn profiles joined by Google Plus and the Infographic sharing Site Pinterest. Great post, and I am glad that you shared this useful info with us. This blog is very helpful. You can also share this Information on many other sites for example like Free Samples 411, a clean business site like OS Business Opportunities swiftly followed by Jfissures and Asaimjapan and also the Johny Adams site.